The Dashboard area gives you a quick access to your drafts, approved feedback requests and received feedback. Drafts section consists of unfinished (not yet submitted) feedback and reminds the user that they can be finished. The Approve feedback request area is a reminder if there are any pending feedback requests to be actioned upon. 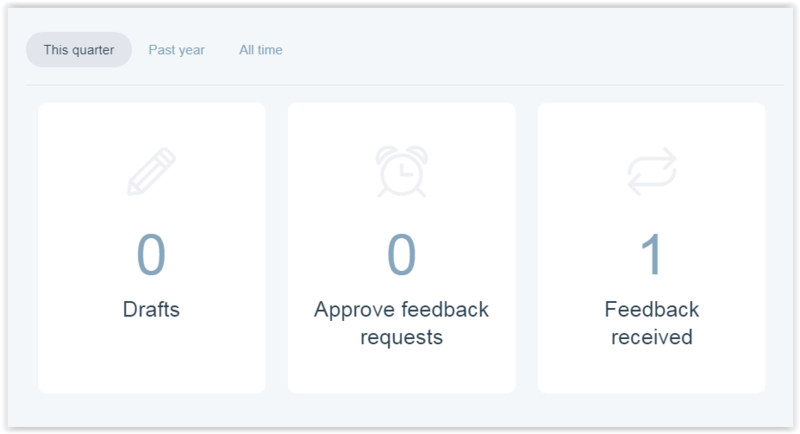 When you receive a feedback request, it will be stored in the Approve feedback requests. You can either chose to accept (write and submit) or reject it. Feedback received is the area where you get all the feedback that they you have received. If you have not submitted your feedback yet, learn how to give feedback, ask for feedback and work with feedback topics.